This Afternoon... A 20 percent chance of showers before 5pm. Cloudy, with a high near 54. 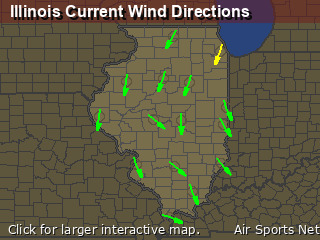 Northwest wind around 10 mph, with gusts as high as 24 mph. Tonight... A 10 percent chance of showers before 7pm. Cloudy, with a low around 42. 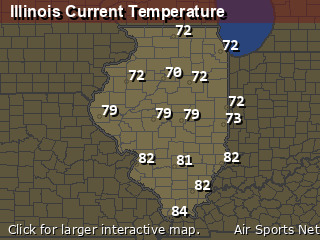 North wind 9 to 13 mph, with gusts as high as 28 mph. Friday... Cloudy through mid morning, then gradual clearing, with a high near 57. North wind 14 to 18 mph, with gusts as high as 34 mph. Friday Night... Mostly clear, with a low around 37. North wind 9 to 14 mph, with gusts as high as 23 mph. Saturday... Sunny, with a high near 66. North wind 9 to 14 mph, with gusts as high as 24 mph. Saturday Night... Mostly clear, with a low around 44. Northwest wind 5 to 7 mph becoming light and variable. Sunday... Sunny, with a high near 76. 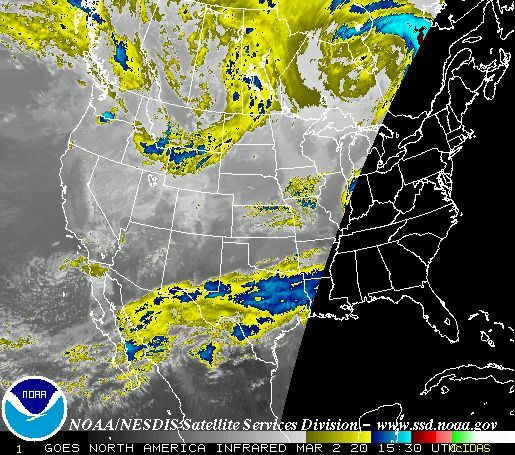 South southwest wind 5 to 11 mph, with gusts as high as 20 mph. Sunday Night... A chance of showers and thunderstorms before 1am. Mostly cloudy, with a low around 56. Monday Night... A chance of showers and thunderstorms. Mostly cloudy, with a low around 50. Tuesday... A chance of showers and thunderstorms. Mostly cloudy, with a high near 68. Tuesday Night... A chance of showers and thunderstorms. Cloudy, with a low around 50. Thursday... Mostly cloudy, with a high near 67.